As an investor, you have a plethora of investment options to choose from today. You can invest in mutual funds, provident funds, Exchange Traded Funds (ETFs), besides other options. As an investor, you have a plethora of investment options to choose from today. You can invest in mutual funds, provident funds, Exchange Traded Funds (ETFs), besides other options. Among these options, many investors often confuse between mutual funds and ETFs, primarily because both these investment tools pool the investor’s funds to buy a diversified portfolio of stocks and bonds. Hence, it is important for you to understand what mutual funds and ETFs are and how they are different. Exchange Traded Funds are index funds that are traded in the stock exchanges. Dedicated investment managers do not monitor it and do not pick the funds that the ETF should invest in. It offers a wide exposure to the stock markets of different countries. An investor can invest in ETFs through brokerage houses. ETFs hold commodities, stocks and bonds. The prices of ETFs vary throughout the day, and they also have lower fee expenses. Investors get dividends and interest on their investments. 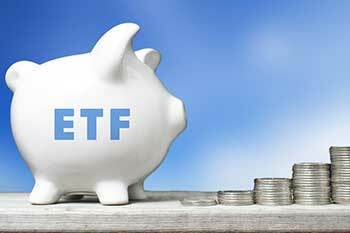 The ETFs can be transferred, bought or sold easily like the shares of a company. Authorized participants (APs) regulate the ETF’s creation and redemption process. APs are usually well-known financial institutions such as banks and investment firms that can buy a huge volume of these funds. Experienced people professionally manage mutual funds, and they invest in a diversified portfolio to earn income and generate wealth for their investors. The investment portfolio consists of bonds, stocks, equities or a combination of these instruments. The Net Asset Value prices the units of the mutual fund. The NAV of the fund is the amount the investor has to the front when investing in the mutual fund. The investor will own units of the mutual fund and share the profits or losses of the investments along with the other unitholders. Exchange Traded Funds are traded during the day, and its values also change during the day. Mutual funds are priced at the closing Net Asset Value of the day. Exchange Traded Funds have lesser operating expenses. Mutual fund expenses vary as per the Asset Management house and the choice of the funds they are invested in. Exchange Traded Funds do not have minimum investment value. Most mutual fund houses have minimum investment value. Exchange Traded Funds have lesser tax liabilities than mutual funds based on the "Creation" and "Redemptions". Mutual funds attract both short-term capital gains and long-term capital gains and other tax liabilities. Exchange Traded Funds can be bought at the prevailing price in the stock market. Mutual fund shares can only be directly bought by the NAV price that is fixed during the trading day. Exchange Traded Funds involve an additional cost of "Bid-ask" spread. When compared to ETFs, there are zero costs involved in transactions. ETFs have higher liquidity as it is not connected to the daily trading volume of the stock exchange. Mutual funds have less liquidity when compared to ETFs. There is no minimum holding period for the ETFs. Mutual funds might levy a penalty if the units are sold early. ETFs are not managed by professionals and are not actively monitored. Mutual funds are professionally managed and are actively monitored to realize the fund's objective.